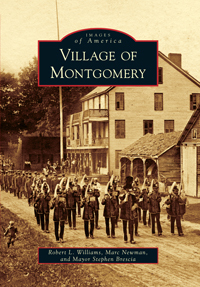 The Village of Montgomery D.A.R.E. Program objectives are to educate our youths about issues such as alcohol, tobacco, violence prevention and substance abuse. The students will also learn methods of how to resist the pressures to begin using drugs. Students will increase their awareness and knowledge as measured in pre and post tests. The culmination ceremony at the end of the program recognizes individual achievements of all participants and reinforces the values and skills that they have acquired. Our D.A.R.E. Program is presented in a classroom setting by a uniformed police officer. Students will participate in classroom discussions and activities, which included individual and group role participation. The officers will also be participating in miscellaneous school and community activities. Our officers not only serve as role models, but as a credible source of information regarding drugs and abuse. Additionally, though interaction with children in a "non-enforcement" role; friendship, mutual respect and understanding are fostered. We have experienced the value of these relationships though our middle school and high school graduates. Assisting these youths throughout their development years by the reinforcement of "life skills" has been rewarding for all – the youth, their parent/guardian and us, their mentors (D.A.R.E. and other police officers). There is no doubt that we have made a positive impact on these youths as evidenced the long standing relationships that are maintained with our DARE graduates. May, 2008: It was recently announced that New York State will be discontinuing funding for the D.A.R.E Program beginning in 2009. The State's funding provided materials such as workbooks and grants for our program. We believe the D.A.R.E Program is a valuable resource for our youths and will continue to provide a D.A.R.E Program in the Village of Montgomery as long as we are financially able to do so.